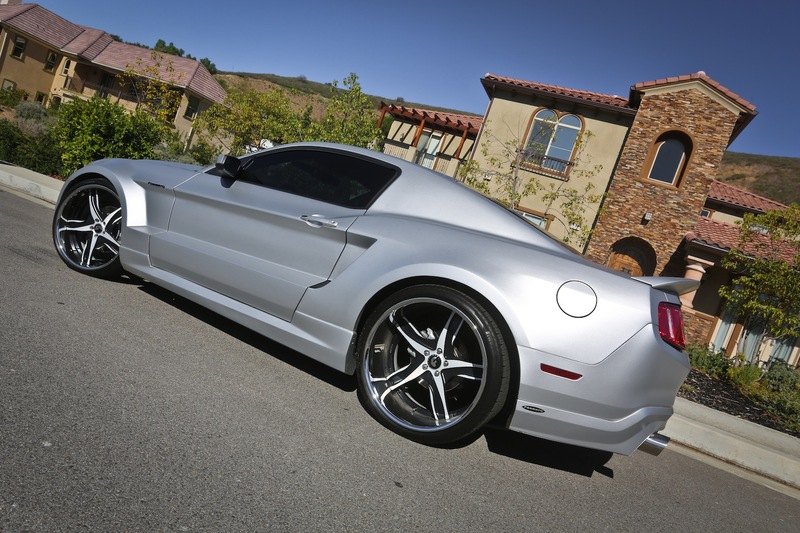 Here's another stunning project from wheel specialist Forgiato. 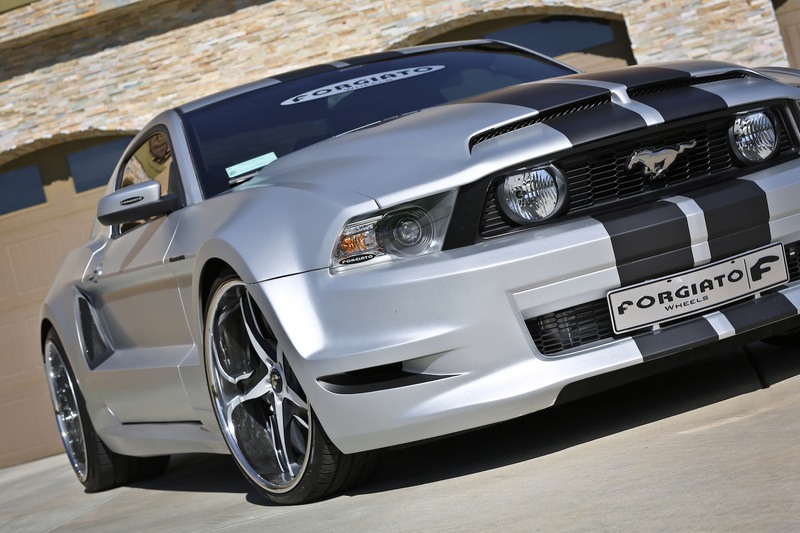 This widebody Ford Mustang rides on Forgiato F2.05 wheels with black accents to match the color of the stripes. 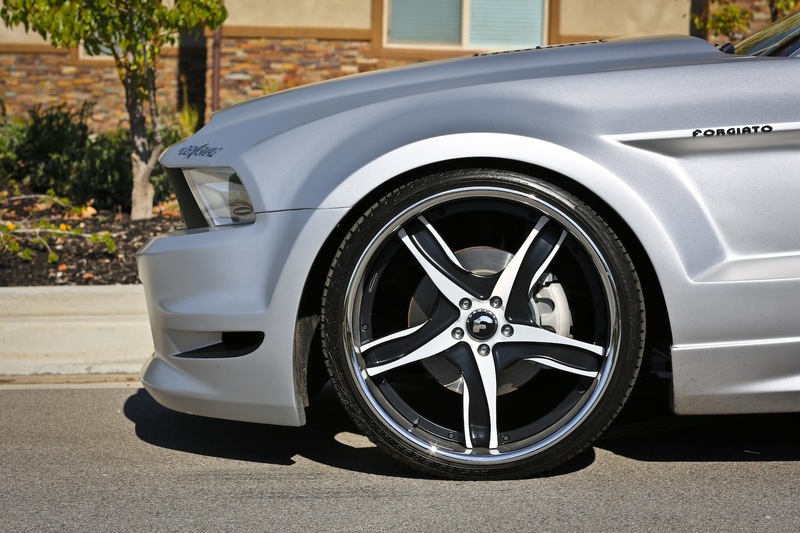 The wheels are not as cool the full carbon fiber ones that we've posted before in a previous Ferrari 458 Italia project but they go pretty well with the widebody Stang. There's no information about the performance upgrades done on this project but judging by the pictures, the 5.0-Liter V8 originally developing 420 Hp now benefits from a power boost thanks to a Vortech turbocharger. More high res pictures in the gallery below.